Supporting young businesses and fixing the skills gap was a recurring theme during today’s Autumn Statement in the House of Commons. The chancellor of the exchequer, George Osborne, announced an additional 50,000 startup loans for entrepreneurs during his economic update to parliament. Osborne said the government would expand the number of startup loans, as well as extend the Enterprise Allowance for entrepreneurs. With the country in the middle of an IT skills shortage, the government has also chosen to provide extra funding to science, technology and engineering courses at universities. “The new loans will be financed by selling the old student loan book, allowing thousands more to achieve their potential,” said Osborne. The Chancellor also pledged to remove the “cap on aspiration” by providing an additional 30,000 more student places at universities next year, with plans to abolish the cap on student numbers altogether in 2015. 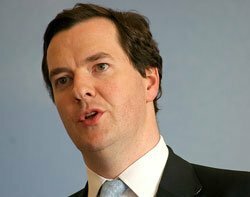 Osborne also said HM Revenue and Customs will provide an additional 20,000 higher apprenticeship schemes over the next two years. In order to regenerate the high street which has suffered from internet competitors, the government will be introducing a £1,000 business rates discount. “There is one group of businesses that has found the recession especially hard, as it has coincided with a rising challenge from the internet that is only getting stronger. These are our local retailers – the shops, the pubs and the cafés that make up our high streets across Britain,” he said. Osborne also claimed the projected growth of the UK economy had increased. The Office for Budget Responsibility forecasted growth for 2013 at 0.6%, but today the estimate is 1.4%. Next year is now forecast to grow at 2.4%, instead of 1.8%. “This statement shows that the plan is working,” said Osborne. “It is a long-term plan for a grown-up country. But the job is not done. By doing the right thing, we are heading in the right direction. Britain is moving again. Let us keep going."